Fantastic game!! 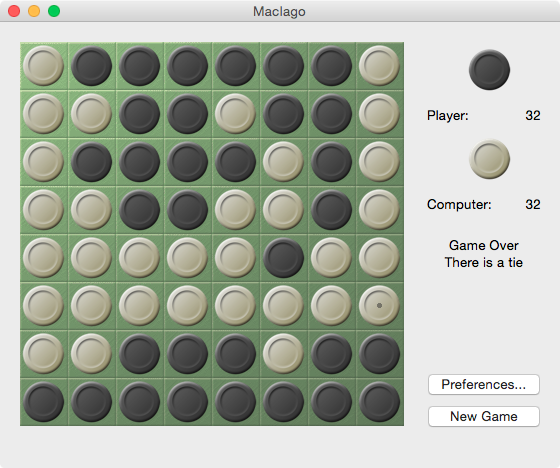 One of the best reversi games around. Even allows 12 by 12 board (which is hard to find.) A must have! Best result ever, as the computer is the winner with a lot more pieces all the time. This is a wonderful Reversi implentation. It's ancient, but it will even run in basilisk ii. Hooray!